SQL stands for Structured Query Language. It was developed at IBM company by Donald D. Chamberline and Reymond F. Boyce. Its main aim is to store, access and manipulate the data in relational database. The SQL can perform some main actions like Create, Read, Update, Delete. It is a tool to retrieve the required information from the database. 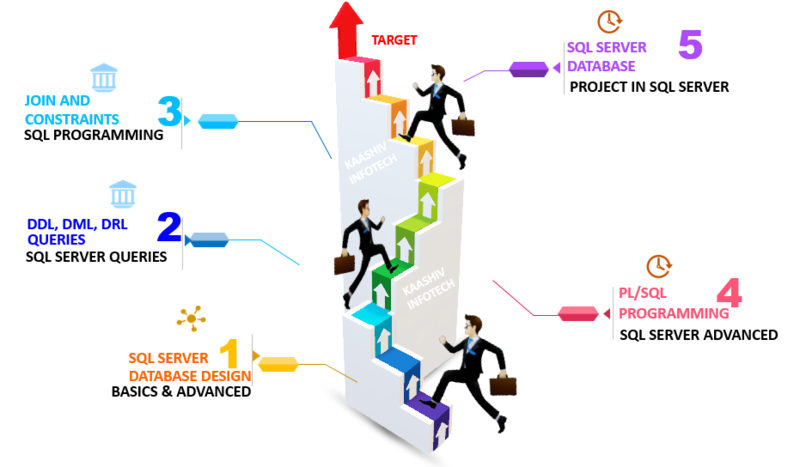 Why KaaShiv InfoTech Company to learn SQL Training in Chennai? Kaashiv provides Best SQL Training in Chennai with professional trainers who provide real-time training and also projects to the candidates for better understanding. Why Students Enroll for real time SQL Server Training in Chennai ? Students undergone SQL Server training will be expertise in SQL Server Specialist & SQL Server Programming + real time Electronics Implementation. For SQL Server Training 120 concepts from Basic to Advanced will be covered.